In the middle of the desert Dubai is a 21st-century city against a beautiful prehistoric backdrop. Its spires of steel and glass rise from the seemingly endless sandscape that covers most of the United Arab Emirates. Dubai is one of the Emirates’ older settlements. 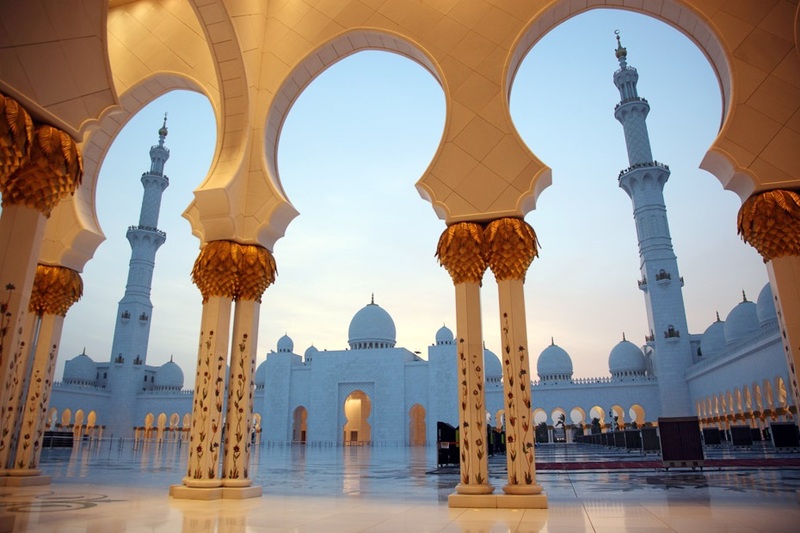 Although now the money pours in from the UAE’s vast reserves of oil it has always been a traders’ city and in the past pearls and the lucrative spices of the East were the commodities bought and sold here. It is a venerable history that makes the city a favourite destination for tourists eager to see the wildness of the desert with modern-day comforts. The city is nothing if not contradictory, the skyscrapers of downtown seeming more typical of Tokyo. Yet, from the top of one, you could look down on traditional dhows plying the deep water creek that divides the city, the old souks of Deira, the modern harbour of Port Rashid or out to where the great desert begins. 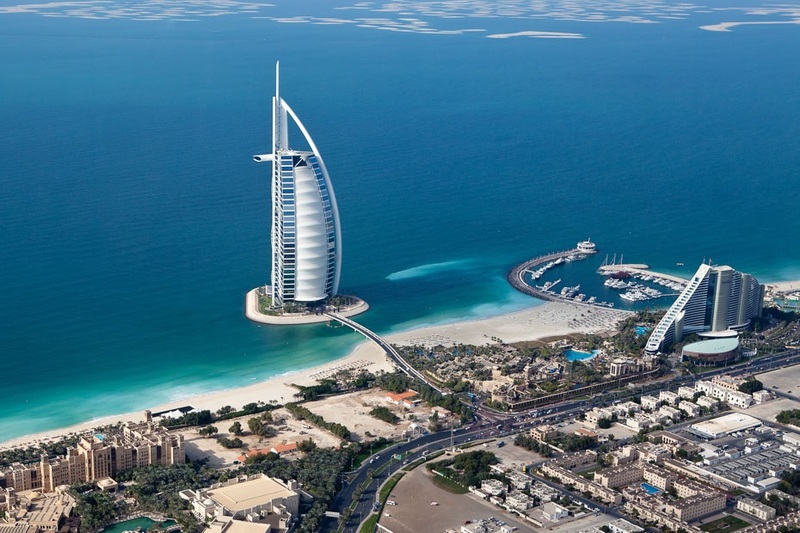 The Jumeirah Mosque is among the world’s most stunning works of Islamic architecture while the Burj Al Arab is one of the most innovative hotel buildings, its name “The Arab Tower” symbolic of its importance to the city. 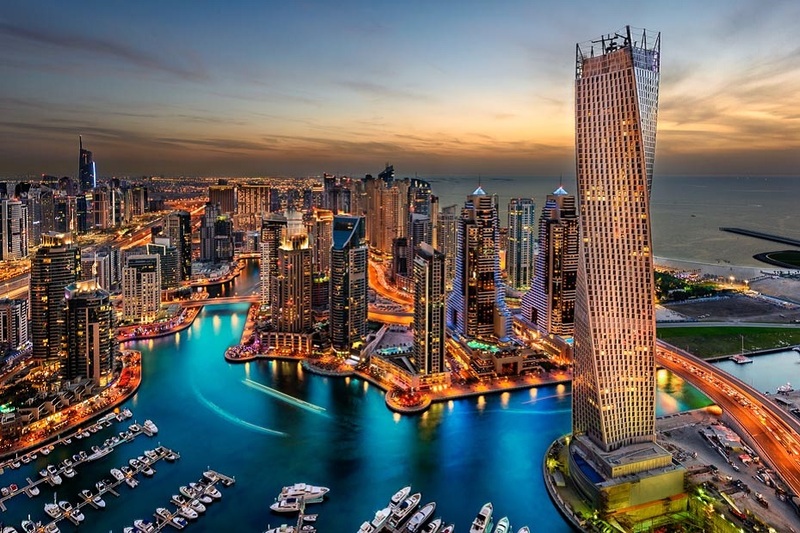 Dubai, like everywhere in the Emirates, is surprisingly cosmopolitan and you’ll find international languages, cuisines and merchandise available almost everywhere. You can go to the horse races or enjoy a round of golf on a world class course – but it’s impossible to forget that the great desert begins barely a tee shot away.